Having previously posted on the subject of missile defence it seems like time for a follow up. It has been reported that the United States is preparing for a North Korean missile launch..
Perhaps it’s needless to add that Canada will not be involved in these preparations. After that previous post Canadian Defence Matters attempted to contact the major Canadian political parties in an attempt to find out what their position was on missile defence. E-mails were sent to the NDP defence critic Jack Harris, the Liberal defence critic John McKay and the Minister of National Defence, Peter MacKay. “I am contacting you to find out what the current position of your party is on the issue of missile defence. In response to an article by Matt Gurney in the National Post I posted an attempt at humour on my blog “Canadian Defence Matters”. It occurs to me that, as easy as it is to mock, it would be more profitable to actually find out what your party thinks about the issue. Representatives for Jack Harris and John McKay replied with assurances that they would get in touch with a response as soon as possible. Peter MacKay's office responded with an automated message telling me my e-mail had been received and would be "reviewed in due course". Those return e-mails were received at the beginning of October. No further reply has been received from any of the individuals contacted. “I am contacting you to find out what the current position of the Green Party of Canada is on the issue of missile defence. In response to an article by Matt Gurney in the National Post I posted an attempt at humour on my blog “Canadian Defence Matters”. It occurs to me that, as easy as it is to mock, it would be more profitable to actually find out what the Green Party thinks about the issue. No reply of any kind was ever received to this communication. In many ways doing nothing is a viable fallback position for elected politicians. They are well aware that no position they take will ever be universally popular. Doing something, even just communicating something, can leave them open to criticism from someone. By never taking a stand on anything they can leave all their options open while trying to determine which will be the most popular and least controversial alternative. By the same token not giving government departments the resources they need to do their jobs relieves politicians of the danger of having to do something. After all, if the Armed Forces don’t have the equipment or organization needed to intervene in a given situation, then it is much easier for politicians to take the high moral ground and talk about what they would do, if only they could. Canada takes the high moral ground on missile defence issues. Having determined that missile defence is “a bad thing” we have decided to allow the United States to make decisions which directly affect Canada with no input from Canada. Canadian politicians don’t want to talk about it. Canadian defence does matter. 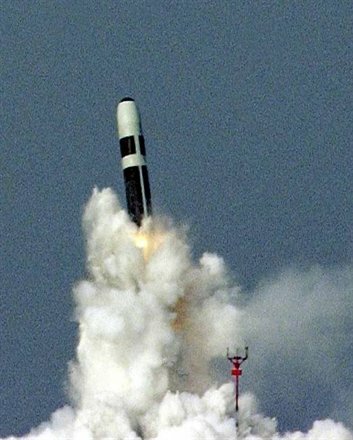 This Blog will continue to write about Missile Defence and Canada’s shameful refusal to take responsibility for our own security.